With the rising appetite for green bonds, more Nigerian companies are preparing to take advantage of this financing instrument to fill their funding gaps, THISDAY has learnt. Green bonds, which are worth $60 trillion globally, are fixed income, liquid financial instruments used to raise funds dedicated to climate mitigation, adaption and other environment-friendly projects. They provide investors with an attractive investment proposition and an opportunity to support environmentally and socially sound project. The federal government pioneered green bond issuance by raising over N10.7 billion in 2017. THISDAY gathered that as the need to finance infrastructure on a sustainable manner becomes more imperative, companies are now looking at the green bond market to raise funds. For instance, Access Bank Plc and North South Power are two institutions that have raised a total of N25 billion green bonds in the past few days. Both issues were significantly oversubscribed. Owing to this, market operators told THISDAY that more firms are gearing up to source green bonds going forward due to availability of huge funds and high demand by investors. Assets under management by signatories to United Nations-supported Principles for Responsible Investment (Green Investment) rose from $4 trillion in 2006 to $60 trillion in 2015. According to a report by the bank, investors’ interest in the social and environmental purpose of their investments reflects a fundamental shift in the bond market. “Investors understand their power to support initiatives their stakeholders care about, that they do not have to give up returns. They also want data that shows how they are addressing environmental, social and governance factors—particularly as they and they increasingly understand that in addition to creating social value, they are mitigating risk to their own investments. 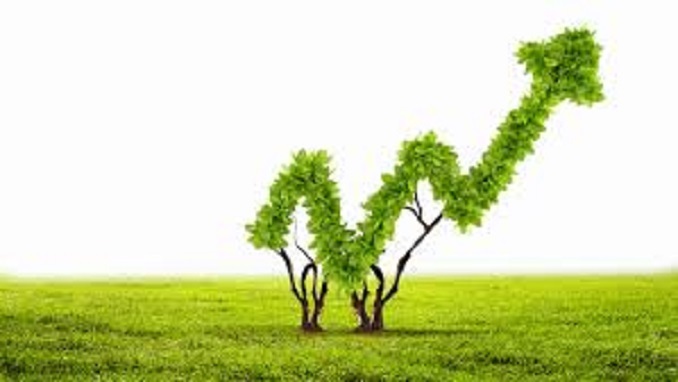 An issuer with good sustainability practices will generally be a better investment. Issuers are responding. Issuers are engaging with investors to show how their bonds present opportunities to achieve both financial and social returns,” the report said. The Group Chief Executive Officer of Access Bank Plc, Mr. Hebert Wigwe on Monday said the N15 billion green bond would help in supporting environmentally friendly investors to meet their investment objectives while simultaneously supporting the bank’s customers towards realising growth opportunities in fast-developing low carbon economy. Only recently Vetiva Capital Management Limited signed a Memorandum of Understanding(MoU) with Climate Finance Advisory Limited (CFAL) and the African Guarantee Fund West Africa (AGFWA) on the Green Energy Fund (GEF) Programme. Director and Chief Investment Adviser at CFAL, Dr. Jubril Adeojo, said the ultimate aim of the tripartite partnership was to create green asset portfolio in excess of $100 million over a period of five years. “AGF will provide up to 50 per cent partial risk guarantee to enable green energy project developers access up to 10 years long-term local currency concessional loans to implement their green projects. The green energy projects that qualify are captive power and minigrid power projects where renewables and gas are preferred sources of energy. On the final note, we are glad that the programme has come when Nigeria is strategically making laudable moves to attain its nationally determined contributions (NDCs) to the Paris Agreement on combating climate change,” he said.